The Como Dining Chair ensures you won't have to sacrifice comfort for quality. This deluxe dining chair is wrapped in top-notch eco pelle leather that will maintain its appearance for years to come. 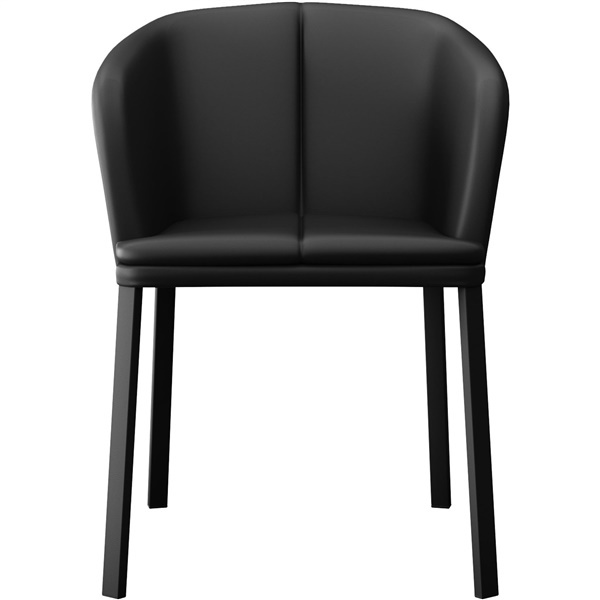 It also offers an elegant design and can function as both a side chair and an armchair. Select a first-rate dining chair that will impress in a modern or traditional dining room � the Como Dining Chair. Versatile design ensures the dining chair can serve as an armchair and a side chair. Eco pelle leather upholstery guarantees the dining chair will continue to dazzle for years to come. Generously cushioned for superior comfort. Available in a variety of eye-catching colors. Steel legs are stylish, strong and supportive.